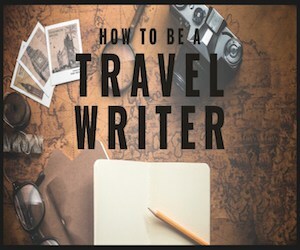 NYC is just brimming with history and if you’re at all a history buff you’ll find loads of things to do to satisfy your hunger to learn about the past of this amazing city. 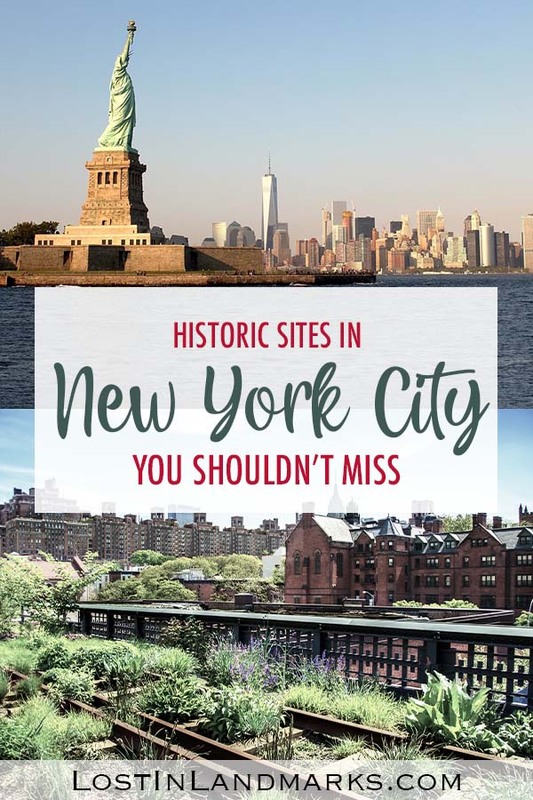 Here are just some of the best historical sites in New York City that we found on our trip, and yes some are just your typical tourist sites, but they are great places to learn the history from too! A gift from France in the late 1800s, the Statue of Liberty represents all that we think about when we think about the USA: liberty, freedom and enlightenment. It’s made entirely of copper and just the building and funding of the statue is an interesting history in itself – it was such a big deal in those days which I can’t imagine happening now! 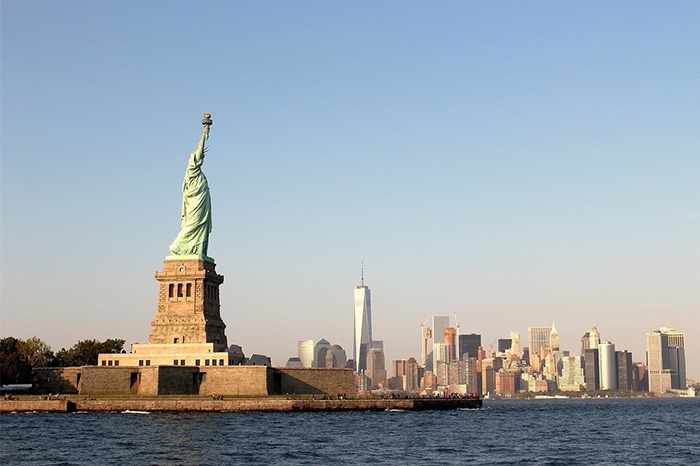 You can, of course, visit the statue now by taking a boat trip from Manhattan. 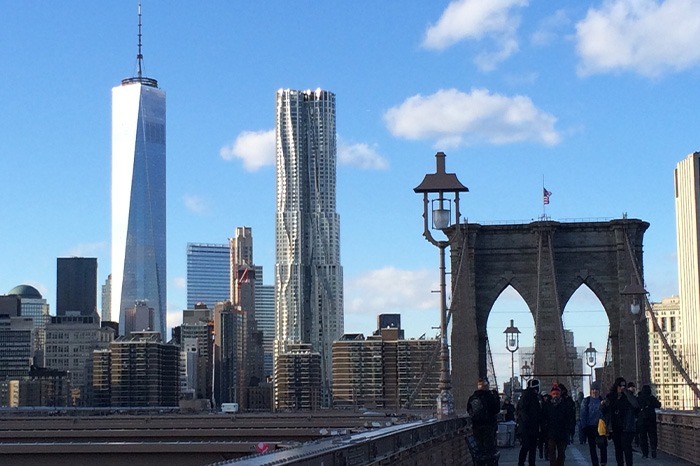 There’s a museum and information boards so you can learn what you want about how the most iconic symbol of the city came in to being and of course get some amazing views of NYC! The USA has such an amazing and interesting history of immigration and Ellis Island is one of the main areas where this happened. 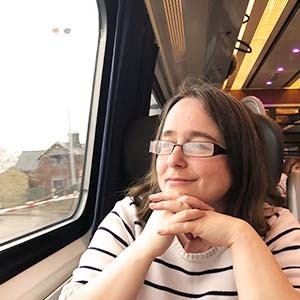 It was the landing point for so many people, around 12 million, in search of a better way of living away from persecution, poverty and just a poor life. 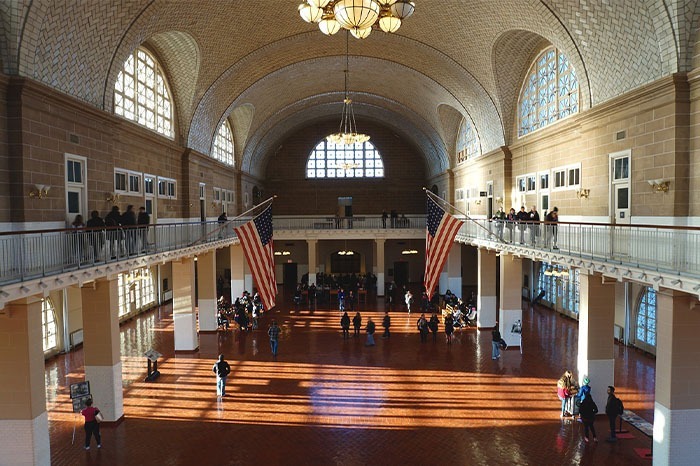 Of course, immigration has happened before and after the use of Ellis Island and you can learn all about that in the museum that is now housed in the old immigration building there. 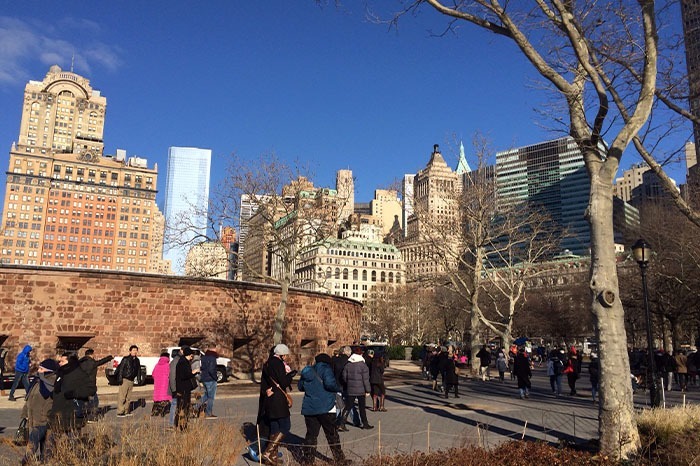 In the early years of the city’s history, there was a need for some artillery protection and it was stationed at the southern tip of Manhattan island in what is now known as Battery Park. It started when New York was known as New Amsterdam and was used throughout the British colonial era too. Nowadays there are many memorials to the history of the city and it’s a really pleasant place to take a walk away from the hustle and bustle of the city. 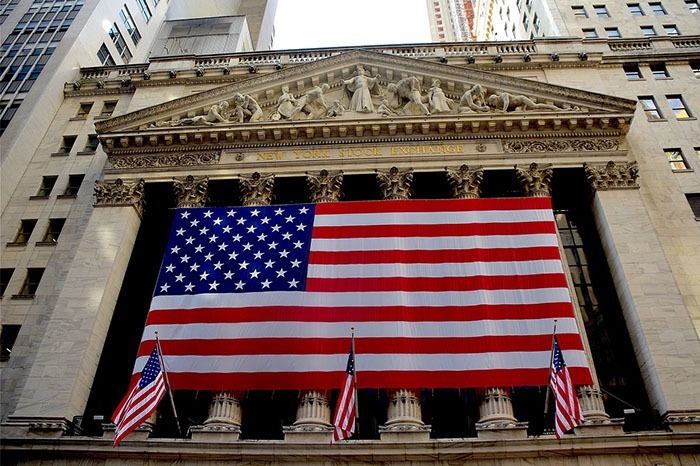 When you think about any financial insitution in the USA you’ll think about Wall Street. It’s become an iconic street in the Financial District of the city and it’s home to the two stock exchanges – the NASDAQ and the New York Stock Exchange. So many stories abound from this area and popular culture has definitely kept the feeling of Wall Street as one where ‘rich people are bad’! Maybe that’s just me from watching Michael Douglass in the film Wall Street! 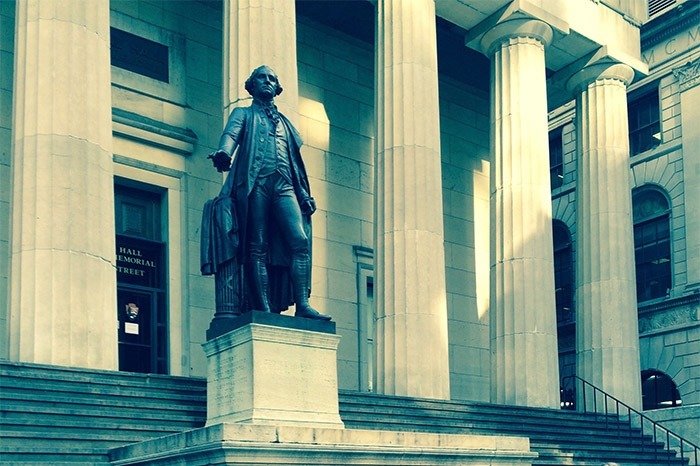 While you’re on Wall Street make sure you check out the Federal Hall National Monument. This was the meeting place of Congress after the American Revolution, when they were discussing the future and it is where George Washington became the first president of the USA in 1789. One to not miss if you’re interested in how the US was founded! Walking over Brooklyn Bridge was a real highlight of our NYC trip. We were on a very tight budget so a free day out was always appreciated! What I didn’t know was that we’d learn some of the history of the building of the bridge while walking over it due to the information boards along the walkway – definitely worth taking some time to read. The bridge was completed in 1883 and it’s one of the oldest roadway bridges in the USA today. There’s some interesting stories about when it opened, including when PT Barnum (yup, from the Greatest Showman) led a parade of 21 elephants over the bridge to show how stable it was! One of the most iconic buildings in New York City (I know, I’ve said iconic so many times in this post!) 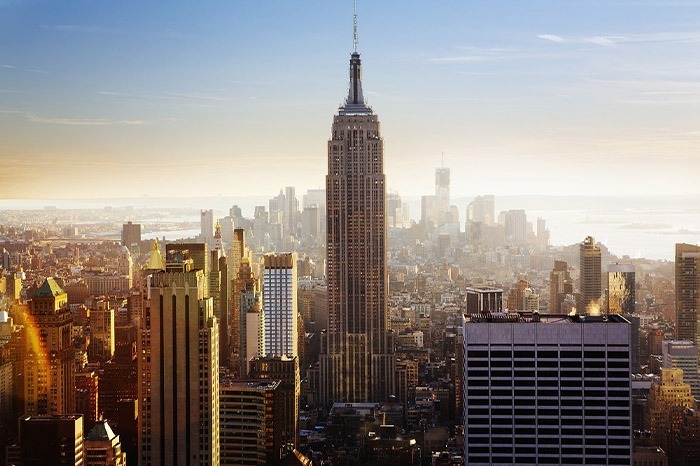 is the Empire State Building which was built in record time in the 1930s. Amazingly it only took 13 and a half months to build it which completely blows my mind! You can go up the building to the observation deck and enjoy the art deco feel of it, or you can enjoy just looking at it from below. I love when old things are not just abandoned and built over but are incorporated into something to enjoy that still keeps the original history there. 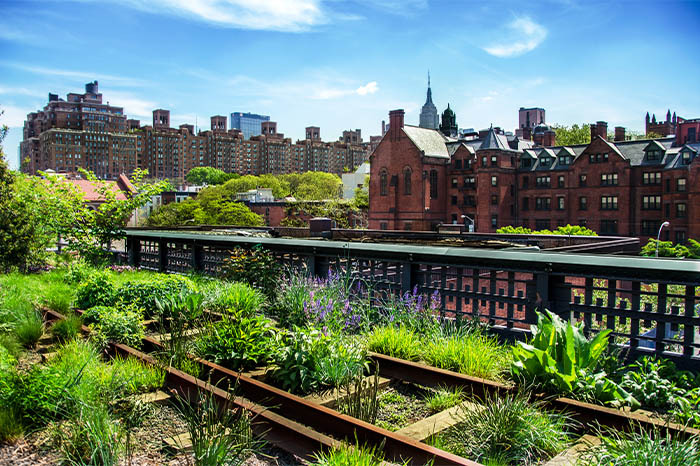 The High Line is one such thing in NYC. It was originally the freight railway lines used in the city up from the 30s until the 1980s when it was abandoned. It was scheduled for demolition but was eventually saved by residents of the area. What they saw was that nature had reclaimed the area and that it was a great refuge in the city. Nowadays it’s a public park and a lovely place to explore. It feels odd to include something that I personally remember happening on a list of historical sites. 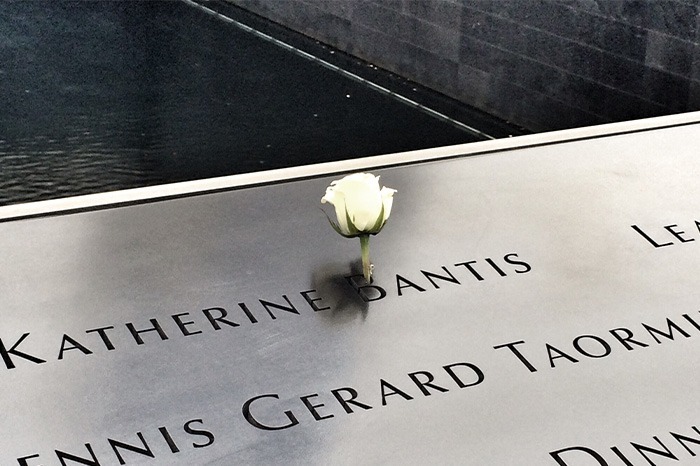 But, of course, 9/11 and the World Trade Center attacks are a historic moment and will always be remembered. There’s a museum in the area where the towers stood and you can see the memorial showing the footprint of the towers as well. The names of those who died are soberly displayed around the footprint as well – it’s a very moving place to visit, not least because of how recent the attacks were. 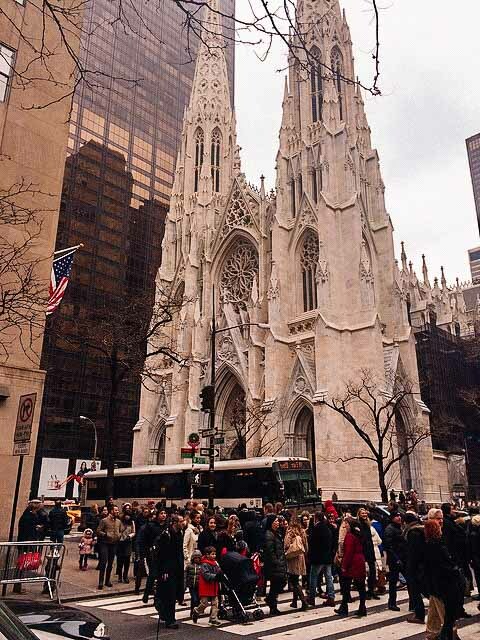 While wandering around the shops on 5th Avenue you’ll most likely notice the church o which seems quite out of place amongst the high buildings and skyscrapers. There are a many number of churches in NYC, but this one definitely stood out to us with its architecture and the contrast. St Patrick’s Cathedral dates back to 1858 when it building started and it opened in 1879. You can go inside and look around – James lit a candle for his mum there and it was such a peaceful place to collect your thoughts. Everything about the church was a contrast to the city! 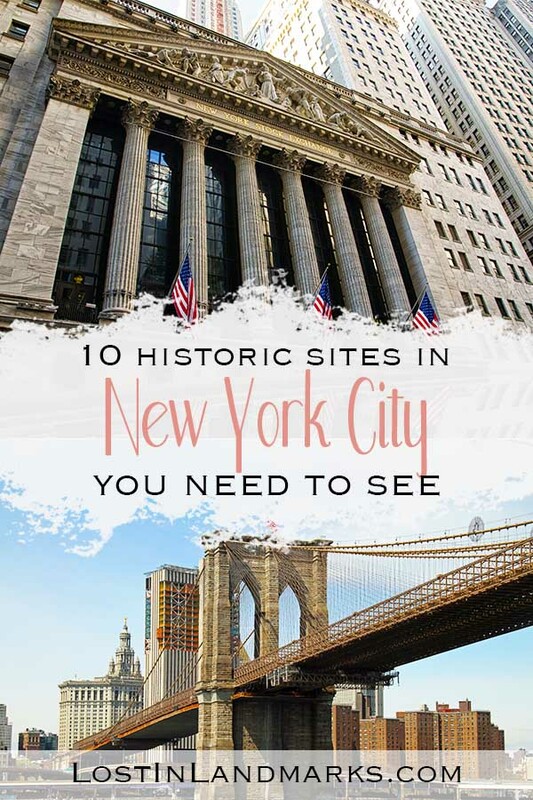 I feel like I’ve just touched on the surface of all the amazing history of NYC in this post – how can you narrow it down to 10? We travelled in the midst of winter and couldn’t see as much as we’d have liked – our next trip will take in so much more! !